As we reflect upon the course we’ve all embarked upon over the last two terms, we are now asked to describe what our “dream” online composition course might look like. With our current level of technology, I would certainly be using a CMS that allows me the ability to build user friendly interfaces and has the flexibility to integrate a variety of support tools such as Zoom, Google Apps, Adobe Apps, Dragon Naturally Speaking (DNS), and a few others that I’ve covered over the arc of the course. The one area that I would focus on more, now that we’ve gone through the class, is how I connect and interact with my online students from start to finish. As mentioned last week, I very much like the idea of Gamification, in particular, giving multiple options to students for completing a particular task or assignment allowing them some control in terms of the deliverables they turn in. One of the biggest challenges I had at the start of our program revolved around how to integrate the f2f experience into online teaching. Although I have not exactly solved that yet for myself, I do believe that your shared insights and our readings have provided me with tools that I think will go a long way in that direction. I’ve started to apply some of these into my hybrid class and am enjoying the results so far. The online Gamified class that I showcased last week is certainly interesting and I am looking forward to testing it next month. However, my dream online class is just on the event horizon. Virtual Reality has come a long way and has now moved into what is known as Augmented Reality. What’s next? Mixed-Reality technology! Soon, we will have the ability to have digital elements built into our actual environments. If this sounds a bit strange, I’ve added some links below that provide some insight into what this is and the potential it might have for education. So, my dream online composition class would be a mixed-reality classroom that students can access in their homes, or anywhere. Each week the lesson would appear on an old-fashioned writing table (and yes, with a weathered old brown leather satchel next to it)! This week’s assignment might focus on Fitzgerald’s lyrical writing style in The Great Gatsby. Students are introduced to Nick who is sitting at the table, then opens the satchel and takes out some papers. He begins to read (as the rooms transforms into a circa 1920s environment filled with a slow jazzy background melody) the section of text that students are to analyze that week. As the assignment/story unfolds, I would be able to scaffold all support materials I wish to share with the students into this environment allowing them to interact with it in real time. Well, the prompt did ask us to discuss our “dream” class…so I am looking forward to trying this out as soon as it is available. Anyhow, check out the links if you are interested in mixed-reality. Examples of Magic Leap’s Mixed and Augmented reality. With a warm moment of nostalgia, Warnock reminds us of the longstanding notion of the writing teacher persona, “sitting in a café with papers stacked neatly on a table, quietly reading, and then writing comments by hand” (p124). All that is missing is the tanned classic leather satchel to complete the image in my mind’s eye. It is a nice thought and I certainly remember those days. I do enjoy the integration of technology and I fully support Warnock’s notion that the digital landscape affords us many new opportunities to explore writing and student engagement. The integration of digital tools has fundamentally changed how we can operate and interact with learners. Whether you are teaching an F2F class, hybrid, or fully online, I have seen teachers at all levels integrate many of these wonderful new technologies by necessity. 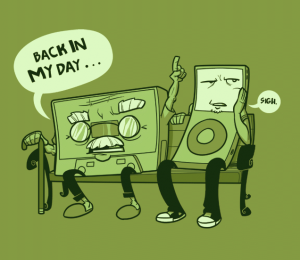 That is, in many ways this new paradigm for teaching was inevitable given that more and more of our students are “digital natives” (Prensky, 2001) and we strive to continue making our lessons both real and relevant for them today. For my F2F classes, I give the option for students to write by hand and/or by computer (most use computers). For my hybrid classes I integrate the Google suite/ Adobe products through a CMS. For both types of classes, I have always provided my global commentary in a digital format because I type over 100 wpm and my handwriting, well, based on what I’ve been told of my penmanship, I could have been a doctor. Naturally, I still collect papers and write notes in the margins, but I try to do as much as I can digitally. Macros and rubber-stamping have not worked that well for me as I tend to enjoy writing personal remarks to each student. I actively implement many of the ideas presented by Warnock in regards to grading/ quizzes and rubrics. In particular the use of quizzes to provide a structure for students as they work through the materials. 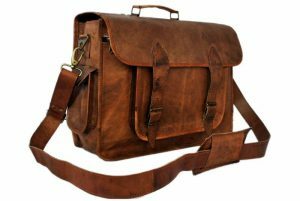 Now that I’ve established my fondness for technology, there is one thing that truly remains a challenge for me and takes me back to the days of having a leather tanned satchel filled with essays in a café. That is, the face-to-face exchanges and the information that transpires when people interact with each other directly. I know that there are many great tools out there that we can use from voice threads to videoconference, but for me they still fall short. Perhaps it is rooted in my Waldorf education experience, but I feel very strongly about face-to-face social interaction for humans. So, there is my dilemma and I look forward to learning from all of you how I might be able to bridge that concern. I have not used this tool as of yet, but I’ve heard much about it and I can’t wait to try it. I’m excited to see what I might be able to do with it and how my students respond. I’ll gladly provide my thoughts on it soon. Is this the same program that the writing center is using? Of all of these I’ve found WhatsApp to work the best for students and me. It’s free and all that is required is a WiFi signal to connect anywhere on the globe. They all allow you to add documents to the conversation, etc. etc. and provide an opportunity for face-to-face communication. Google Docs / Google Groups / Google Voice (text/call) / Google Hangouts (video/chat/text) Synchronous editing is great for student collaboration and for editing documents with students. 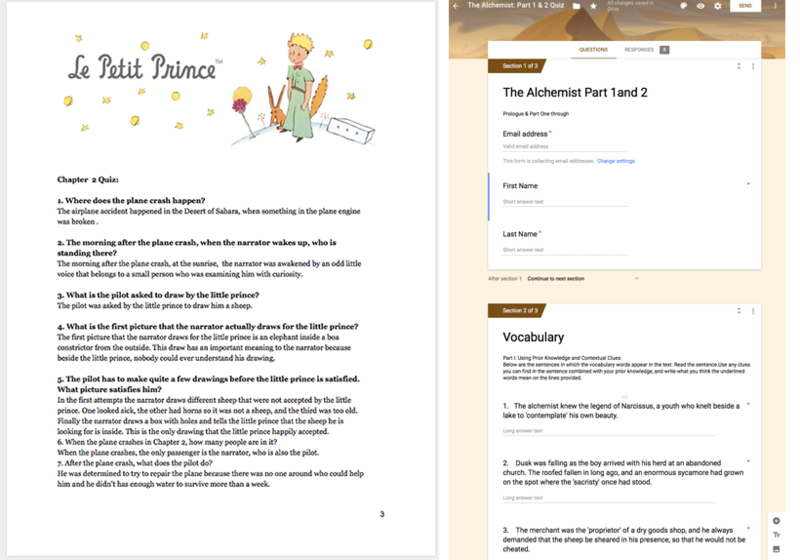 Has features for editing directly or simply making suggestions (like notes in Word). Google products can be integrated into your CMS if features are not already built in. Yup, have tried this. Never quite got into this one. Just seems a lot easier to type a comment in the notes / margin. 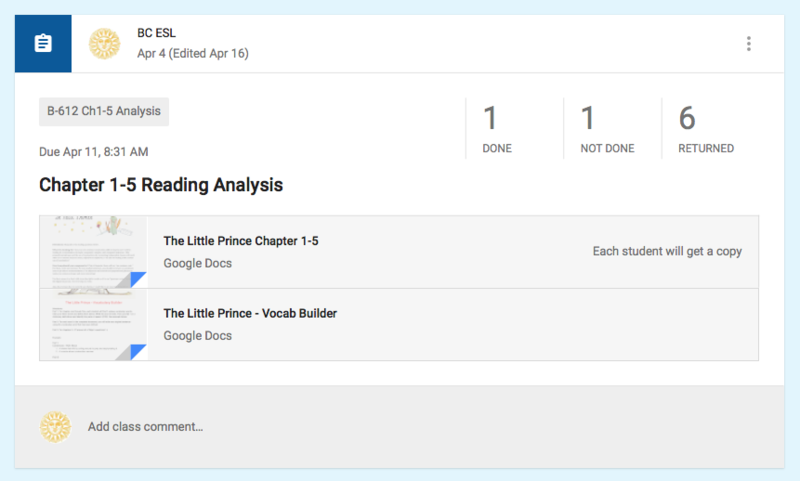 I do like the idea of recording global summary feedback on writing projects. I know some teachers give out their personal phone numbers. I don’t. I’ll gladly text or have a call with a student, but we’ll use a 3rdparty provider like WhatsApp or Skype. I have created podcasts in the past, particularly as a world language educator, but have not yet applied the technology to my writing classes. Podcasting is best suited for long-form content but I’ve used it for 10-15 minute introduction and overviews of projects and lessons. I’ve also used it successfully (I thought) for literature reading review projects. Although podcasting does not solve my issue with the lack of the face-to-face teaching component, I do think it goes a long way in building a genuine connection with your audience instead of one that might feel a bit lackluster and distant. Once again I will point out that I have not yet taught an exclusively on-line class, yet. However, I have begun the process of migrating my onsite strategies into the online instructional environment in the form of a hybrid class or an onsite class heavily supported with a content management system. As I reflect on teaching the writing process for this week’s assignment, I am going to discuss how I approach a writing assignment for one of my Adult ESL intermediate reading and writing classes. Although this is a f2f classroom, it is an example of a class I support with an online classroom. I integrate the use of content management systems to expose students to the online environment, as many of them are unfamiliar with using these types of interfaces. Not only will this benefit them in future classes academic /non-academic courses, but it also is a useful workforce skill. So, that means all materials including support articles, presentations, videos and other additional resources can be found online in the virtual classroom. I also require them to use the message board for responding to prompts as well as discussions. As the language is still challenging for many of my learners (not to say that it is not for some of our more advanced learners), the thought of having to put their ideas on paper can be a frightening endeavor, to say the least. So, my first challenge is to create an environment in which they feel they will not be embarrassed. In Teaching the OWI Course, Warnock provides us with an example of high-stakes vs low-stakes writing environment. With the diversity of my students’ backgrounds and educational levels, it is essential for me to create a low-stakes writing environment allowing them to explore and engage with the writing as they learn to incorporate academic writing conventions into their texts. My secondary focus is to guide them along the process of writing as I work with them on content, fluency, finding their own voice, peer review/feedback and revisions. As mentioned above, for many the thought of putting ink on paper (or keyboard stroke to screen), it is something is something to be dreaded. My first challenge is to try and overcome this and get students motivated enough to actually be excited about sharing their ideas on a subject and to write them down. In any new writing assignment I focus on strong pre-writing activities aimed at providing learners with confidence-boosting experiences and essential vocabulary. As I do this, I try to find subjects that will allow me to incorporate some of the students’ backgrounds so they can activate their prior knowledge and draw information from a familiar place as they take on these new challenges. Below is a sample of one class in a larger unit on narrative writing. Telling Stories to Incite Writing – Re-telling a story, Summarizing. The pre-writing activity begins with a question prompt, What makes a hero? I ask students to work with a partner to discuss their understanding of the word hero and what defines it. I often will post a prompt like this online on our message board (Canvas or Google Groups) prior to the class meeting so that students will have responded to it prior to the lesson. We collectively explore some of these ideas that students have presented and then I ask them to work in small teams to create a graphic organizer, mind map, or other diagram to visually express the idea of the question prompt. Students then share their maps either f2f or post them online, to which other groups are to respond to and provide some feedback or ask questions. I follow up on this pre-writing activity with a secondary prompt, “the cave you fear to enter, holds the treasure you seek.” Having already worked on the ideas of what defines a “hero”, students often make a correlation between these two prompts in their responses. Following this, I introduce the theme of the writing assignment, to explore the Hero’s Journey in literature and culture. My introduction draws on, naturally as a total Star Wars geek, Luke Skywalker, but also Frodo, Indiana Jones, and the wizard boy himself, Harry Potter! 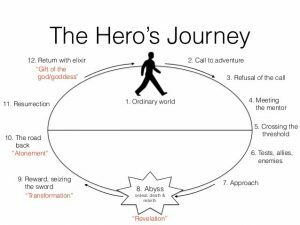 We then explore the arc of the Hero’s Journey as defined by Joseph Campbell. We then analyze written synopsis of character development in Star Wars (and some Pixar movies) and we work on identifying the transitions that occur to the hero. Students use a Hero’s Journey worksheet to take notes of the transitions as they try to identify them. Ted Ed: What makes a hero? Students are then asked to think of a hero in their own culture and using the Hero’s Journey worksheet, map evolution of that character’s arc. This worksheet then serves as an outline for them to work on their first draft of the narrative writing assignment, writing about a hero from their native culture. The class goes on from here as we work through the writing process, planning, organizing, writing, editing, revising.